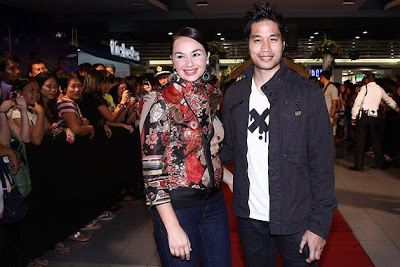 Celebrities grace the premiere night of Star Cinema's "Forever and a Day", like Mirriam Quiambao, Jericho Rosales, Matteo Guidicelli, Kim Chiu, Maja Salvador, Cristine Bersola-Babao, Julius Babao, Toni Gonzaga, Jericho Rosales, Pokwang, Johnny Manahan, Donita Rose and husband, Gladys Reyes and husband Christopher Roxas, Pooh, Angelica Panganiban, Angeline Quinto, Bianca Gonzalez, and Piolo Pascual. 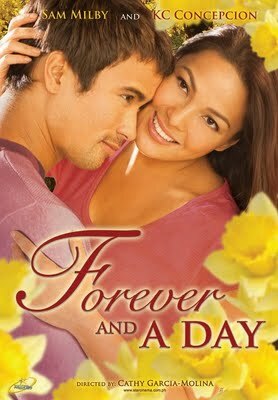 KC Concepcion and Sam Milby topbill the movie. The grand premiere night of the romantic film “Forever and a Day” was held at SM Megamall Cinema 10 Tuesday night (June 14).